The American economy is only as strong as its workforce. As a longtime CEO, I’ve always looked to hire talented, enthusiastic people who bring diverse perspectives and fresh energy to our organization. But throughout my career, I’ve seen bright individuals with high subject-matter expertise fail in their roles because they lacked basic social and emotional competencies. These skills aren’t “nice-to-haves,” they’re essential to achieving business success and an important factor in the hiring and promoting decisions made by every manager. Although the specific capabilities required for success in the workforce continue to change and will likely be vastly different twenty years from now, a core set of proficiencies surrounding social-emotional learning (SEL) will always be necessary. These competencies need to be taught at an early age and to everyone. They include empathy, teamwork, the ability to influence others, and the capacity to create an environment where people can do their best work. Those who possess these skills are positioned to gain the trust and respect of their coworkers, supervisors, and customers, building the relationships that are the foundation for success in any endeavor. Research shows that SEL has impact that is both long term and global. For businesses to benefit, we as a society need to invest in the social-emotional development of those students who eventually will become our employees. A 2015 study by researchers at Columbia University found that the measurable benefits of SEL far exceed the cost of implementing it in schools. On average, for every $1 invested in SEL programming, there is a return of $11—a solid dividend in any industry. Each person’s unique experiences are a boon, not just to an individual company’s success, but to the success of the US on a global stage. To maintain a competitive edge, we need to invest in young people of all backgrounds early on to build a diverse pool of talented applicants who not only are strong academically, but who also have learned and developed the core social-emotional skills required to be successful. On a national scale, those efforts need to start in our public schools. As it currently stands, many young Americans are ill-prepared for success in the workforce, through no fault of their own. It’s the consequence of systemic inequality. An equitable education system would grant every student access to the resources and educational rigor they need, no matter what their race or background is. But even though more than half of public school students are students of color, US schools systemically provide fewer resources to students of color and students from low-income families. To foster the creativity and innovation that will keep us competitive globally, we need to make sure all students—particularly those who are historically disadvantaged—are presented with equitable opportunities to succeed. Those efforts must reach beyond the academic teachings—heavily focused on test scores and graduation rates—that have guided school curricula for so long. In addition to reading, writing, math, and science, we must also invest in students’ social-emotional learning, using scientific approaches to cultivate a strong, sustainable pool of talent for the future. Schools still need resources to provide all students with an enriching academic experience, but a recent report by the Aspen Institute Education & Society Program shows that correcting this unequal allocation of resources is only part of the puzzle. Many efforts to advance equity in education focus only on the disparity in inputs—money, teachers, materials—and outputs—test scores, graduation rates, college access. Too often, they neglect the challenges students of color and low-income students face inside of school, including lower expectations, harsh disciplinary approaches, negative school environments, and racial microaggressions that disconnect rather than connect them to school. To achieve real equity, we must improve learning environments and reduce bias so students feel safe, connect with teachers and peers, and believe they have a real chance to succeed. Improving learning environments by focusing on racial equity and integrating social, emotional, and academic development will both improve academic outcomes and support students in developing skills that will help them in their careers. This is essential for future success in the workforce. Our economy will suffer if we don’t decisively act to correct the inequities in the US public school system and develop social-emotional competencies in all students. At this point, we’re operating under a model in which the majority of public school students don’t have the resources or opportunities to succeed. If America wants to grow its workforce domestically and compete with other countries globally, our education system must ensure that every young person is prepared for success. Educators and lawmakers alike must make it a priority to tackle inequality—individual, institutional, and societal—by applying a racial equity lens to focus on students’ social and emotional needs in addition to their academic success. That’s the only way we can create a diverse, sustainable talent pool for tomorrow’s workforce. If we’re able to achieve this—if every student has access to learning essential social-emotional skills at an early age—as a nation we all stand to benefit. Dr. Kumar Mehta is an expert in innovation science and the author of The Innovation Biome, which describes a sustained business environment where innovation thrives. 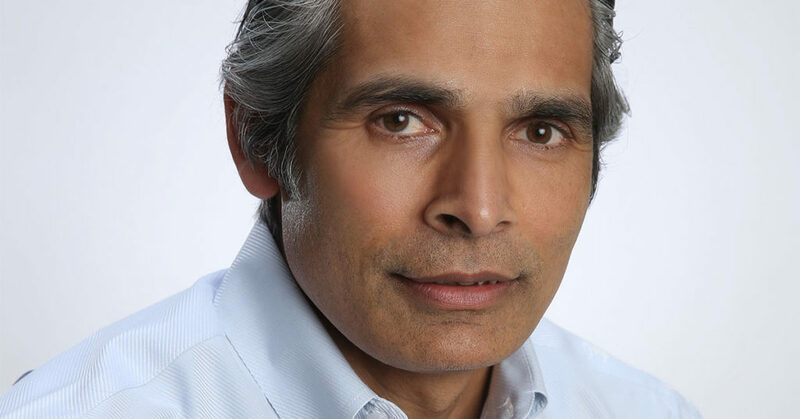 Kumar is the founder of Bridges Insight, a think tank focused on innovation. Kumar has had a broad variety of careers. His education and early work were in pharmaceutical socioeconomics, followed by almost 14 years in the technology industry working at Microsoft. From there he became CEO of a large data analytics company that employs over a thousand professionals. Kumar also serves as a senior research fellow at the Center for the Digital Future at the University of Southern California. Kumar is well versed in executive management, leadership, and data-driven development and implementation. He received his PhD in pharmaceutical socioeconomics from the University of Iowa in 1990. Kumar demonstrates his strong commitment to fostering the safety and well-being of children through social-emotional learning and development by serving on Committee for Children’s Board of Directors.